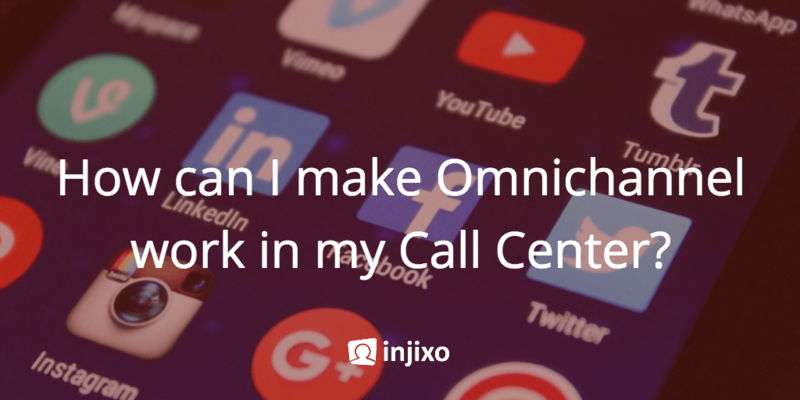 How can I make Omnichannel work in my Call Center? The days of contact centers handling only inbound phone calls are certainly waning if not over. Many centers now handle emails, web chats, text messaging, make outbound calls, and some are taking on video interactions and social media as well. Vendors are offering integrated queuing that can line up mixed media in the same queue so that agents take a variety of contacts types. The question is, what if any of this omni-channel queue capability will be beneficial to your center, staff and customers? 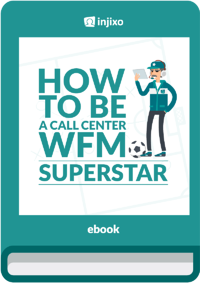 Even with all the new ways for customers to interact with the company, inbound phone calls still comprise the bulk of the workload for most contact centers today. The mix of other activities varies from one operation to another and these other contacts are growing as a percentage of total activity. In some centers, the frontline staff members are dedicated to one type of contact and rarely handle any other. But some are hiring and cross-training staff to handle more than one type. This is largely based on the idea that any available time from one work type can be filled with some other work to improve efficiency and productivity. But how well does it really work? The automated outbound call dialers initiated the first move in the direction of mixed contacts. The concept was to ensure that answering the inbound calls took priority but that any idle time would be filled with outbound calls generated by the dialer. It sounds great in theory, but the practice has proved problematic. One of the most important timing criteria for outbound calling is to generate the calls when there is the greatest potential for live answer. That is why many of these outbound contacts are scheduled to coincide with the evening mealtime when most people are at home. But if the outbound calls are just stuffed into the inbound idle times, they are likely to be made during times when there is less chance of live connection. In some cases, there is also a restriction on how many times a single number can be attempted so wasting opportunities is to be avoided. So the integration may ensure busier frontline staff, but not necessarily better overall results in terms of revenue generation or collections on the outbound side. The immediate response group generally has a speed of answer goal that is focused on balancing efficiency with customer satisfaction. The maximum wait for most is measured in minutes if not seconds. On the delayed response group, the timing is generally longer but no less critical. The goal for responding to emails may be hours or even days. Outbound calls are totally within the control of the center and can be generated as staff is available, although this is typically balanced with the need to complete the calls to generate sales, collect past-due bills, or achieve other goals. Failure to monitor and respond to social media comments can result in significant problems as many people can see these posts within a very short time. One of the hopes for mixed media contacts is making it easier to staff the center with the right number of people for all the time periods. For example, staff the center for the peak immediate workload periods and use their idle time during the valleys for the other contacts. However, when the same frontline staff handles the immediate and delayed contacts, the demands of one can significantly impact the other. If the workload in the immediate queue is high and produces little idle time, the delayed response work can be put off repeatedly until it misses even the longer deadlines. But when the team tries to catch up on the delayed response work, the speed of answer goals for the immediate may suffer. These challenges are particularly difficult in large groups where the natural result of economies of scale produce high occupancy rates for the immediate response workload. Finding that perfect balance of staffing to meet all of the goals is a significant challenge. It takes a sophisticated set of mathematics to produce staffing models when the same personnel handle a mix of contact types. Omni-channel queues are not an answer to habitual understaffing. There is a significant difference is the capabilities needed to handle calls versus written communication. Frontline staff that are well-spoken, empathetic and effective oral communicators may not be able to construct a written response that is clear and concise, uses proper language, has appropriate punctuation, sets the right tone, etc. People who write well may find real-time call handling stressful. It is hard enough to find enough people to staff the center overall, but asking the Human Resources team to find people who can communicate both orally and in writing, create the appropriate company image in email, text and social media responses and work in conditions that fill every idle moment is a tough order. There is also the challenge of switching back and forth between contact types on a random basis. This is often difficult for the staff and can result in longer handle times and higher error rates. It is a good practice to study the results of a team dedicated to one type of contact versus those who mix them up and see if there are tradeoffs in your operation. It may also be worthwhile to study the results for individuals to find the best utilization for each. Career path is another consideration. Bringing personnel into the center to do one type of contact and then training them for another to advance their careers is one option. However, it is not unusual for personnel to resist or refuse additional training when it leads to a job with more stress or competition with a smaller, more tenured team for desired schedules. Perhaps pay steps or some other benefit can be associated with the addition of each new skill to overcome some of these issues. While teams dedicated to only one type of contact are on one end of the spectrum, and totally mixed media queues are on the other, there are some in-between choices as well. In some centers, personnel may be cross-trained to handle more than one type of contact, but they only handle one type at a time. For example, the person may be dedicated to inbound calls during the busiest calling time and then switch to handling only emails in other periods. But these blocks of time are dedicated to one or the other. This allows the concentration needed to handle each type efficiently without interruption but also gives the center flexibility to move people to meet the current workload demand. The staffing process and workforce scheduling are also somewhat simpler than the mixed media queue would require. It may also be possible to mix the contacts that are either all oral or all written. In this case, some staff may take inbound and outbound calls only and other staff handles emails, text chats and other written communications only. This focuses the skills and capabilities of the staff on the type of work for which they are best suited which can shorten handle time and improve efficiency. Omni-channel contact handling is clearly a case of “just because it is possible doesn’t mean it is right for everyone”. There are certainly some frontline personnel who can do it all and switch back and forth, loving the variety in their day. But they are pretty rare. Forcing people to handle a mix of contacts that include some they are good at and others that are a struggle creates stress and potential turnover, not to mention loss of efficiency. Finding the right set of work assignments for each individual in your operation is challenging, but it is well worth the time and effort. Where we once recruited and hired people for a specific job that was well defined, now we have both the opportunity and challenge of also finding the right contact type balance to maximize efficiency and frontline staff satisfaction and retention. Each center is likely to have some personnel who handle only one contact type, some who handle several, and a few who can do it all. Each is a valuable member of the team. Our job is to figure out how to find the right balance of customer expectations, efficiency, and employee satisfaction/retention.